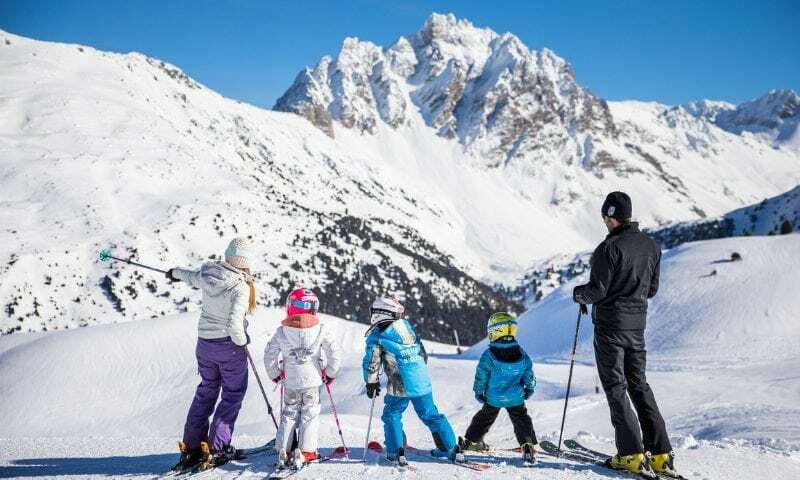 You booked your ski holiday in Meribel many months ago and now it’s a short time until you arrive here in resort, and you find out that you’re pregnant! Whether you’re surprised or overjoyed, you need to consider if it’s OK to go skiing during pregnancy. Whilst ultimately it is the decision of you (and your doctor), here we offer advice for skiing whilst pregnant and look at the risks and benefits of skiing whilst you’re growing a mini human inside of you. Perhaps in hindsight you wouldn’t have booked a ski holiday if you’d known you were pregnant, but you have and you are, so how safe is it for you to ski during early pregnancy? Weeks four to 13 are widely considered the most important stage of pregnancy; it’s the time when the fetus is forming, and all of the important functions are being created in your baby’s body. It’s also the time when miscarriage is most likely to occur – because of this some new mums try to eliminate any unnecessary risks during this time. If you’ve been fit and active before falling pregnant then it’s perfectly safe for you to continue with moderate levels of exercise. If you haven’t been skiing before or if you aren’t typically an exercising kind of gal, then you’ll need to weigh up the risks associated with starting a new exercise such as skiing when you’re in early pregnancy. It’s not only the skiing, it’s tackling the ski lifts and getting around resort too which can prove tiring even if you’re not pregnant! Tiredness In the first trimester it’s likely that you’re feeling super tired and utterly wiped out. Your body is busy creating a tiny miracle so it is focusing all of its energies into that and you may well be feeling like you’ve run a marathon just from walking up the stairs! If this is the case then you need to have a think about just how demanding the sport of skiing is and whether your body can handle it. Each pregnancy and each woman is different however, so it’s important to make your own judgement call. Sickness Perhaps you are one of the thousands of women who experience nausea and morning sickness during early pregnancy. Shooting down a snowy mountain may not seem the most appealing way to spend the days if you’re not feeling above par, so you will need to assess your well-being and work out if you feel well enough to exert yourself with the challenges of traversing a ski resort. Safety In early pregnancy your baby will be tiny and well protected deep inside your womb, but the risk of falling/being collided with is a very realistic fear which can (and probably will) happen. The Royal College of Obstetricians and Gynaecologists advises that all exercise is fine in early pregnancy except for surfing, skiing and horse riding (due to the risk of falling/trauma to the abdomen), so you’ll have to make your own judgement call on your skiing capabilities and the risks associated with injuring yourself. High altitude is also a reason that doctors sometimes discourage downhill skiing. The second trimester of pregnancy is probably the safest time to travel and fly (up to 28 weeks), but skiing when in later pregnancy is probably more risky than skiing in early pregnancy so you’ll need to think carefully before hitting the slopes during pregnancy. You’ll also need to consider if you’ll be able to find any ski clothing which fits! The act of skiing whilst pregnant itself is not overly risky; breathing fresh mountain air whilst sitting in a slight squat position puts no undue pressure on the abdomen and can increase fitness. It’s the people around you and the risk of collision/falling which needs to be considered if you’re thinking about skiing during pregnancy. Trauma to the abdomen when pregnant can be incredibly damaging for the fetus (and you due to the muscles and ligaments already loosening in time for birthing). Evaluate Your Capabilities If you are a seasoned skier then there’s no reason that you can’t continue to enjoy the sport once you fall pregnant. Just remember to evaluate your skills! Yes you may have been a fast and hard skier pre-pregnancy, but that doesn’t mean that your body will be able to execute the same level of skill (safely) once you’re in the mum-to-be club. It’s important to listen to your body carefully and take everything a lot more easily than before you were pregnant. If you’re a beginner skier then starting to ski whilst pregnant probably isn’t a good idea. Beware the Altitude High altitude can effect pregnant women a lot more than it does non-pregnant people. 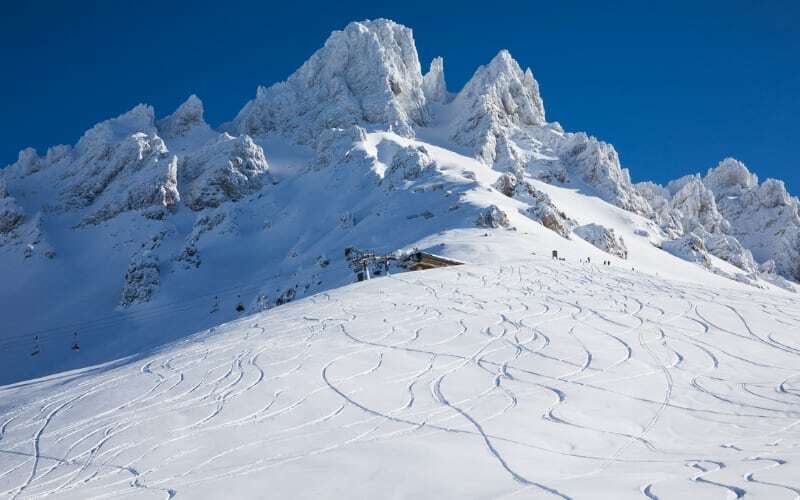 If you’re arriving in resort for a week’s skiing be sure that you give yourself enough time to acclimatise to the altitude before you throw yourself into skiing during pregnancy – you don’t want to cause yourself an injury or become overly breathless because you didn’t take altitude into consideration. Avoid Busy Runs If you are a skillful experienced skier you may not fear falling as much as new skier would. However, people crashing into you full force is a very real risk when skiing in busy areas so we advise you pick quiet areas to ski at non-busy times to minimise the risk of collision. It’s Not a Race Pre-pregnancy you may have enjoyed hurtling down the mountains at a rate of knots, but now that you are pregnant it’s time to slow down and take it easy a bit more. It’s not a race and you’ve got nothing to prove… by pushing yourself too hard and fast you’ll be more likely to injure yourself so just take it easy. Listen to Your Body If you’re full of energy and want to enjoy the mountains then DO IT! however the only person who can tell you that you’re too tired is you, so listen carefully to your body and what it’s trying to tell you. Relaxation is Good for You Whether it’s your first or fifth baby, relaxing when pregnant is incredibly important. Perhaps you’ll evaluate your energy levels and just ski every other afternoon? Maybe you’ll decide that skiing during pregnancy is too risky or difficult and you’ll stick to Alpine walks, shopping or just enjoying the cafe and views. Relaxation is such an important thing for everyone to remember, not just pregnant women, so be sure to enjoy as much rest and rejuvenation as you can (you won’t get a chance once baby arrives!). Skiing During Pregnancy; Should I or Shouldn’t I? Our advice about skiing during pregnancy is to speak to your midwife/doctor beforehand and come up with a plan that you both feel comfortable with. Only you can make that decision! 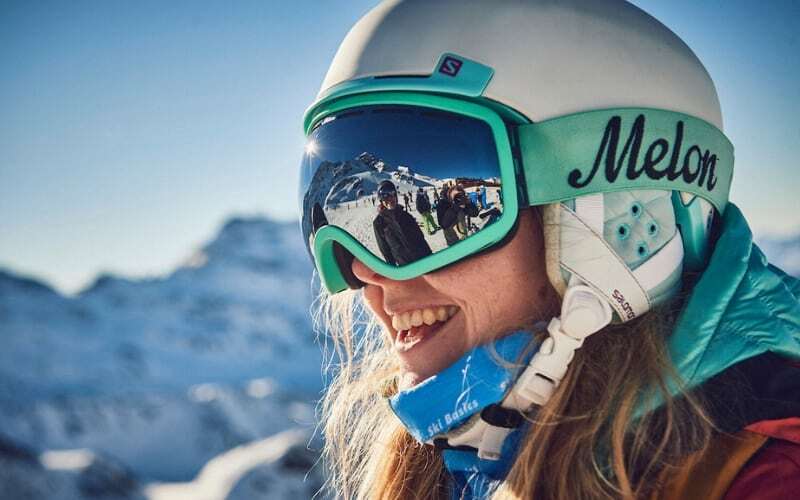 But if you DO decide against skiing whilst pregnant, then there are plenty of other things to do in Meribel to help you relax, rejuvenate and enjoy this most special and treasured time in your life. Get in touch if you would like any further advice, here at Ski Basics we’re here to help!